FLOW is organized by three yummymummies, so when other yummymummies get together to make magic happen, we will surely be there to cheer them on! 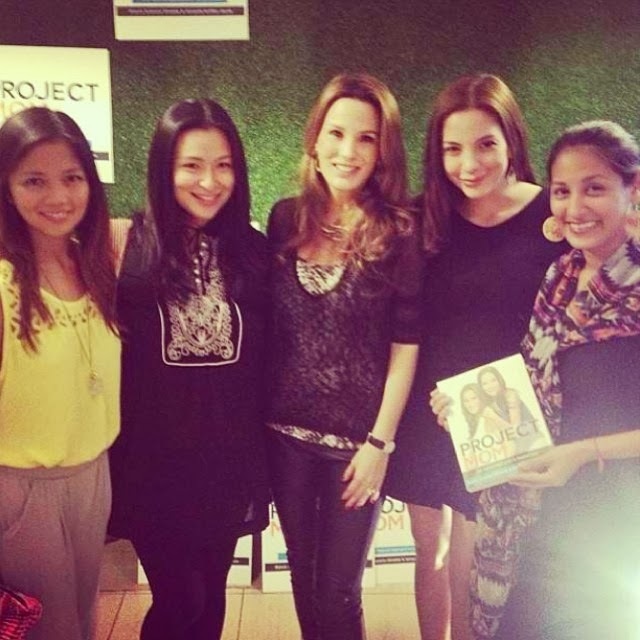 “It Girls-turned-It-Moms”, Amanda Griffin-Jacob (mom of two adorable boys) and Bianca Araneta-Elizalde (mom of three beautiful girls) launched their newest baby, PROJECT MOM, last week. They said that this was probably the most difficult labor they endured, but it was well worth it! The book is a go-to manual for every parent. It is a comprehensive guide as it covers topics from pregnancy, health, food, and celebrations. All 355 pages are packed with essential information for modern natural parents and has an excellent team of experts to back it up such as Panjee Tapales sharing her homebirthing experience, Hindy Weber-Tantoco talking about the importance of going organic, Anna Aquino-Dee empowering moms for breastfeeding, and lots more. Available at Fully Booked for Php999.